n 1942 Germany began construction of the Atlantic Wall in order to defends its World War II territory from a possible Allied amphibious invasion. The wall consisted of various fortifications, mines, tank barriers, mortars, artillery pieces, machine gun nests, pillboxes, and bunkers, and was designed to fend off any beach landing. On June 6th, 1944 Allied forces landed on the beaches of Normandy and quickly overran the defenses there. Thousands of German soldiers were captured, but surprisingly still many of those capture were not German at all. Both the Wehrmacht and the SS began to accept foreign volunteers. Many of these foreign troops were sent to man the defenses of the Atlantic Wall. These soldiers came from all over Europe, and even the Middle East and Asia. 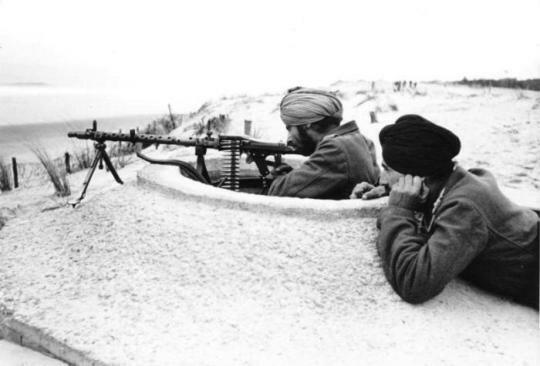 One notable extreme was the Indian Legion, also known as the Azad Regiment, which consisted of volunteers from India who believed that a German victory would secure India’s independence from the British Empire. The reasons for volunteering were varied, some political, many as a necessity for survival. By far the most numerous foreign volunteers were those from the Soviet Union. 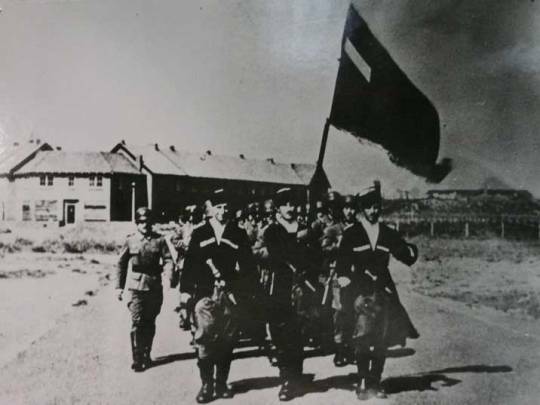 Some volunteered because they were fighting Soviet rule, for example the Russian Liberation Army, which joined the Wehrmacht to oppose communism in Russia. In some cases they proved to by a grave liability, such as the case of a battalion of soldiers from Georgia which manned the Atlantic Wall defenses on the Dutch island of Texel, who in 1945 openly rebelled against the Germans. As well as many thousand foreign volunteers, there were also many thousand foreign conscripts in the German Army. 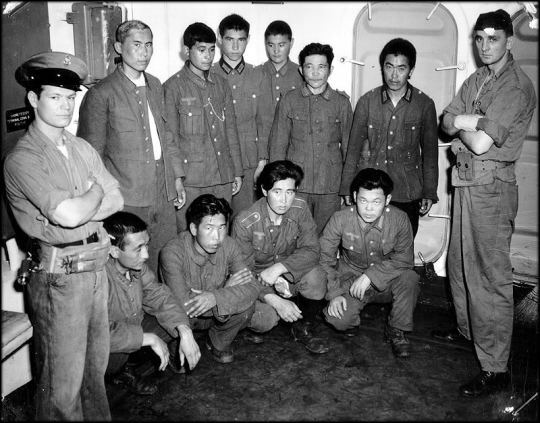 By far the most interesting extreme in this instance were a group of Koreans who were captured by American forces during the D-Day invasion. For three decades Japan had occupied Korea, and the men were conscripted into the Japanese Imperial Army. In 1939 Japan attempted to invade the Soviet Union through Mongolia, but were beaten at the Battle of Khalkhin Gol. 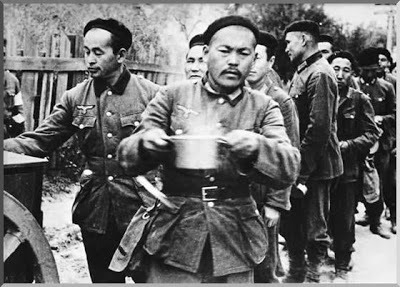 The Koreans were captured and sent to the gulags, but with the German invasion of the Soviet Union, were then forced to join the Red Army and fight on the Eastern Front. They were then captured by the Germans, conscripted into the German Army, and defensed of the Atlantic Wall at Normandy. 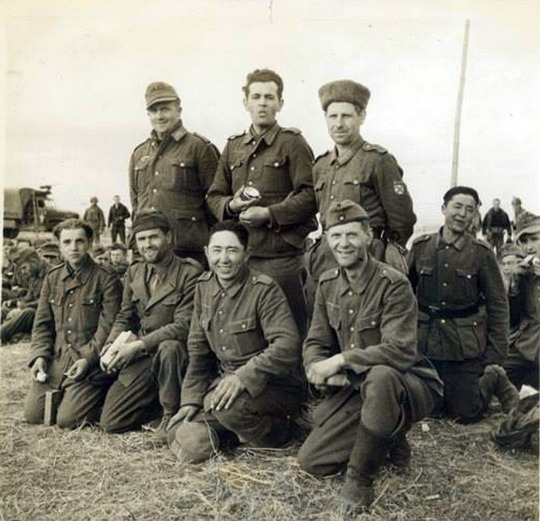 By far the most numerous conscripts and volunteers were Polish. Before World War II many parts of Poland had been a part of Prussia, and later the German Empire. When Germany reclaimed these territories they where entered into the ranks. Some 500,000 Poles were conscripted into the Wehrmacht, with many serving on the Atlantic Wall. In addition to Polish Troops, a number of Czechs considered ethnic Germans would be conscripted as well. Overall, one in six defenders of the Atlantic Wall were not German. Nothing demonstrates the diversity of these defenders more than the photo below of a group Wehrmacht soldiers captured during D-Day. Back Row (from left to right): a German; a Czech; a Russian who was forced into the army when the Nazis occupied his town; and a Mongolian. British propaganda always said that Germans were racist. British people should read this blog for an alternative view on the war.